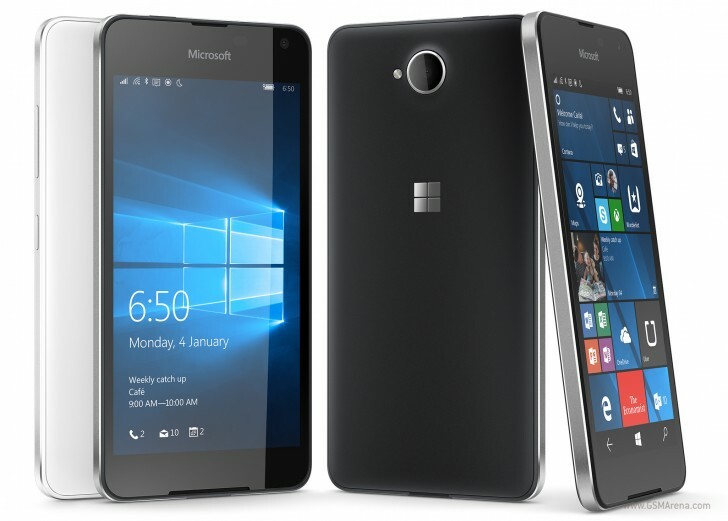 Microsoft has just pulled the wraps off the Lumia 650. 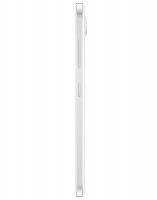 The handset frequented our rumor mill over the past few months, and is now finally official. The specsheet starts with a 5-inch 720p display, but unlike the lesser Lumia 550, the 650 packs an AMOLED panel. Microsoft is so proud of it that it calls it "our most beautiful screen ever" ... "at this price point". The Snapdragon 212 is in charge of powering Windows 10 (but no Continuum), and its quad-core Cortex-A7 CPU clocked at 1.3GHZ - the sole difference to the S210 in the Lumia 550. It's coupled with a single gig of RAM too, but storage has gotten a bump to 16GB, expandable via microSD. Imaging department is represented by an 8MP primary camera (type 1/4 inch sensor, 28mm equiv. focal length, f/2.2 aperture), while on the front you're getting a 5MP sensor behind f/2.2 lens. You get a full set of connectivity options, with multi-band 2G/3G/4G, and LTE is Cat 4 (150Mbps down, 50Mbps up). There's Bluetooth v4.1, NFC, Wi-Fi 802.11b/g/n, and GPS with A-GPS, GLONASS, and Beidou. A dual-SIM version of the smartphone is also present. An FM radio receiver is on board too, for those who asked. 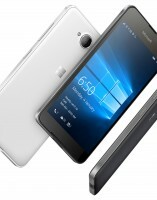 The Lumia 650 boasts a solid aluminum frame, with exchangeable back covers and upon launch it will be available in black and white color schemes. The smartphone weighs 122g and measures a pretty sleek 142 x 70.9 x 6.9mm. Inside there's a 2,000mAh battery, user-replaceable too. 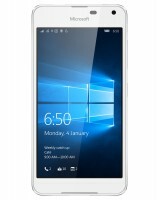 The Microsoft Lumia 650 will be available in select European markets starting February 18, priced around $199 before taxes or subsidies. Yes, we too are wondering why Microsoft has announced a European launch with a price in dollars. 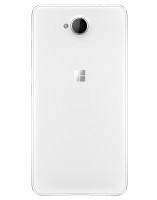 Hi, I need to know what is the expected launch date for Lumia 650 in India? I assume they might Change some hardware prior to an american release. Alot of mid range functions are not available to out European Friends. Nice overall features, but camera with a zeiss optics would have been better.